The Holiday season has arrived! Join us in the upcoming weeks for a festive run of events! 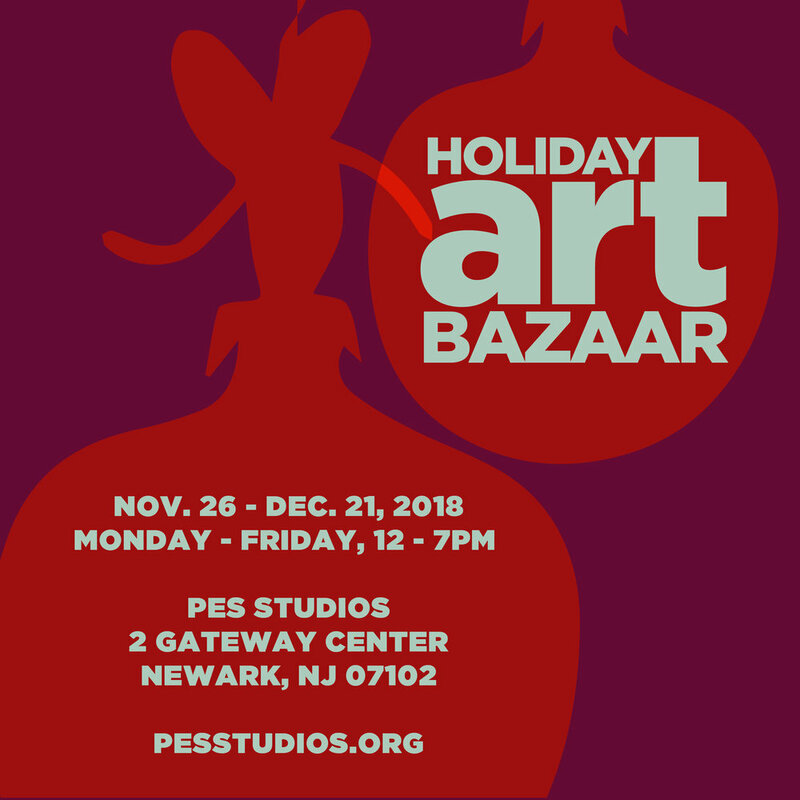 Starting November 26th through December 21st you can shop our second annual Holiday Art Bazaar. Local vendors, artists, and craftspeople will have a wide selection of specialty gifts available for the artists and art lovers in your life! You can find us in the Concourse of Gateway 2 in Newark, NJ (directly in front of the PES Gallery), M-F, 12-7pm!